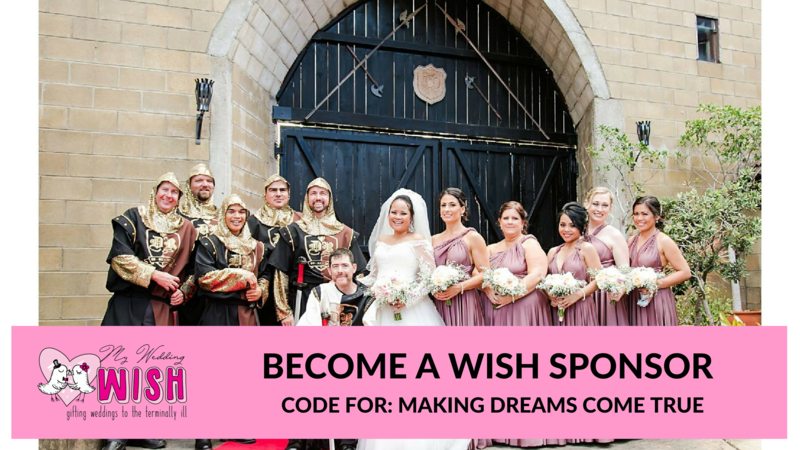 My Wedding Wish is a national charity that gifts weddings to couples where one is facing a terminal illness (legal criteria must be met). 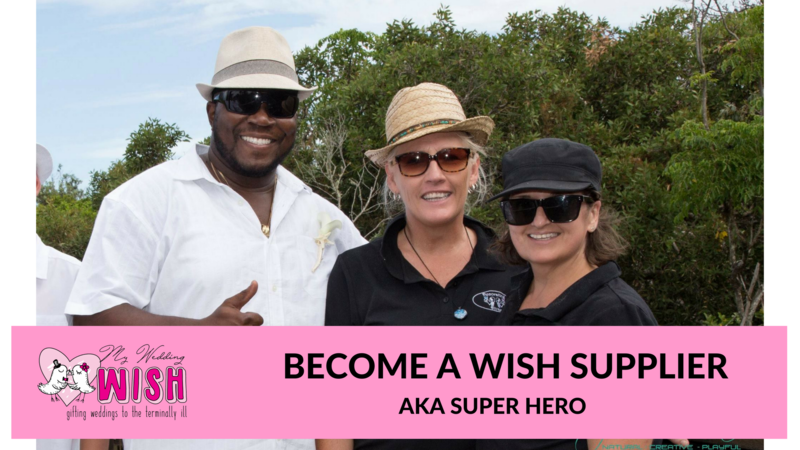 Wether you have heard about My Wedding Wish and it’s touched your heart or your just someone that loves to make dreams come true we would love to have you onboard. We’re looking for wedding suppliers across Australia who would like to gift their services, please fill in our online form. Being a supplier is an opt-in opt-out basis, you choose the weddings you’d like to gift to, and you decide what you’d like to gift. If for instance, you’re a photographer and wish to gift a one hour package, and the couple wants more, then they will pay you direct for the extra. If you’re a makeup artist and wish to gift makeup to the bride only but she has bridesmaids, she will need to pay for the extras. Is there media? We leave that up to each couple – some couples want media, others don’t. You will get a mention on our website, and facebook feed though, and frankly, most of our suppliers gift because it’s totally awesome, not because they get extra work or recognition from it.